Here is today's #StyleSteals from Cents of Style. 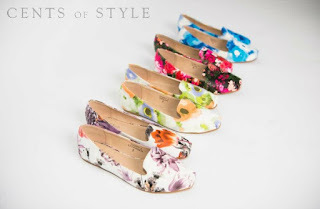 Today (6/22) only they have Floral Flats for 40% off. You have 4 styles to choose from and prices will range from $19.95-$23.97. They retail for as much as $39.95. Make sure you use the code FLORALSTEALS at checkout to get the discount.